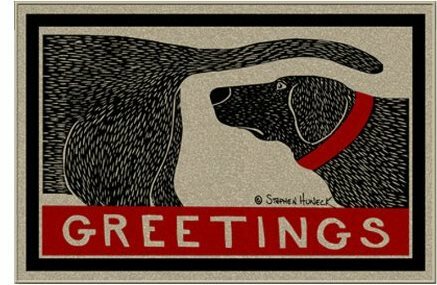 Welcome yourself and your guests to your home with a dog doormat. Any decorative doormat is a lovely way to welcome guests but a dog doormat is an especially nice welcome mat. 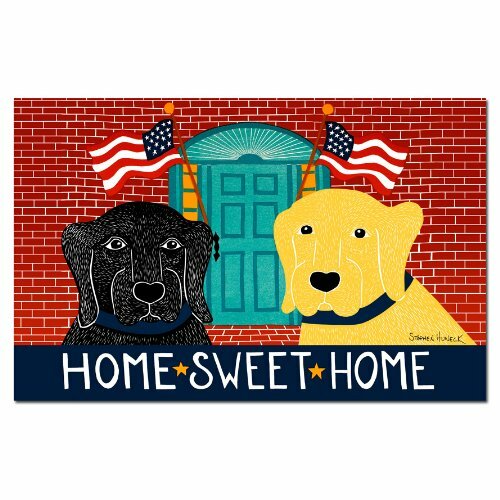 Even if you don�t have a dog, a friendly dog doormat may be your best friend. A dog doormat is a good security measure. It makes visitors think you have a dog even if you don�t. Think of the dogs on this dog doormat as a pair of watchdogs. Not only for burglers but for your friends and your dogs. A dog doormat is a friendly way to get dogs and people to automatically wipe their paws. A perfect dog doormat or dog rug. 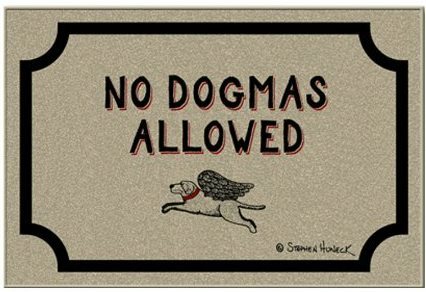 See our other decorative doormats too. We have matching Unique Decorative Throw Pillows. 18 inches by 27 inches. A decorative home decor style signature often starts at the door. 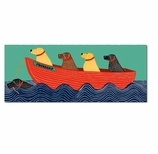 Dog lovers love dog home decor. Dog doormats are thoughtful gifts. 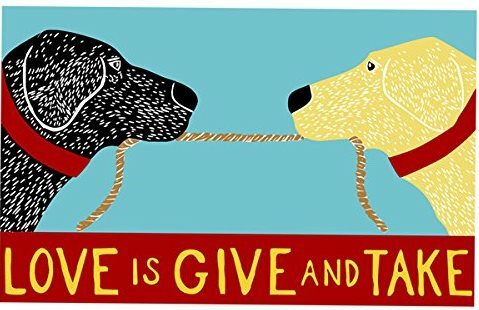 They make great gifts for women or gifts for guys who love dogs. 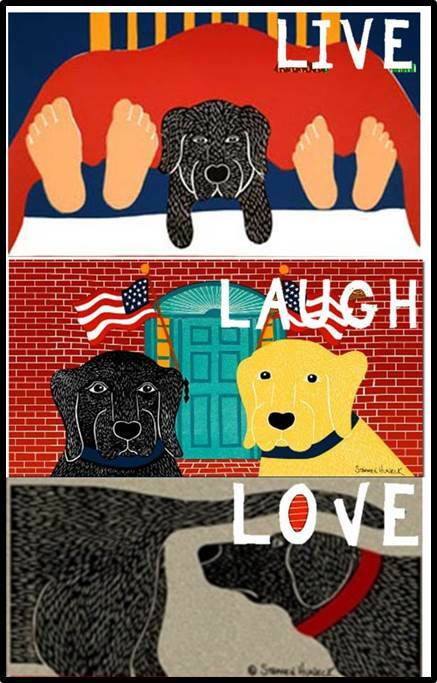 If Must Love Dogs is one of his or her favorite movies, you�ve got it made with a dog doormat. Who knows? 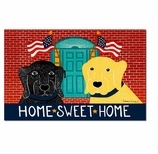 A dog doormat may be a key to your dog lover�s heart. This dog doormat is so nice you may want to put it inside and use it as a dog rug. Put it by your bed or your dog's bed and both of you can enjoy it. 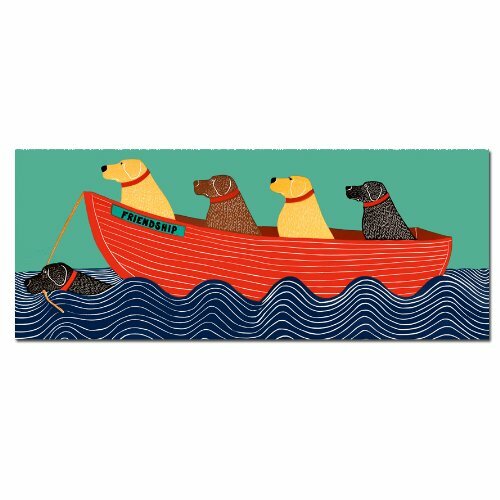 Even if you don't have a dog, a dog rug is cozy decorative home decor. In fact a dog rug will keep you company. Woof!